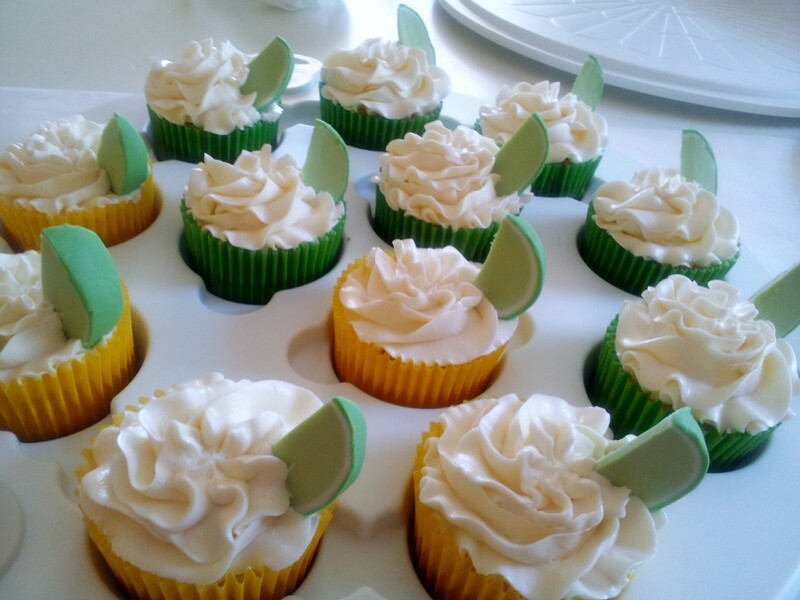 I made THE ultimate summertime cupcakes, the kind you want on a nice sunny day to have at a family BBQ, babies are playing outside, disposable plates and plastic silverware are out, and flies are trying to get at your food. Super light margarita cupcakes spiked with just enough tequila and lime-flavored tangy frosting are the perfect way to end your meal. My inspiration: this huge tub of margarita mix I bought when I must have been completely out of it b/c I can’t have citrusy stuff or alcohol right now anyway. But just b/c I can’t enjoy it doesn’t mean everyone else can’t. A beautiful bevy of boozed up baked goods. I wanted to make these for a while and had to wait for a legitimately nice summer day. The weather this year has been a roller coaster ride: a couple extremely warm days in February and March and a crapload of chilly, rainy days in May. So this weekend was perfect. Originally, I had planned to make them for the T-house mega party on Saturday to celebrate Vin’s mom’s retirement, his sister’s birthday, and Father’s Day, but since we were out late on Friday night Johnny Prime style, I didn’t have any time to bake and make fresh frosting. But after getting a good night’s sleep after Saturday’s festivities, I woke up and started getting my things together to bake and make citrusy icing.